I’m delighted to report that the Russian translation of The Fisherman has won an award for best translated novel of the year at the “Most Terrible Festival” in St. Petersburg. Bozhe moi! Thanks very much to AST publishing, who brought out the novel in Russia, to Grigory Shokin, who translated it, and to everyone responsible for the book receiving its (and my) first non-English language award! 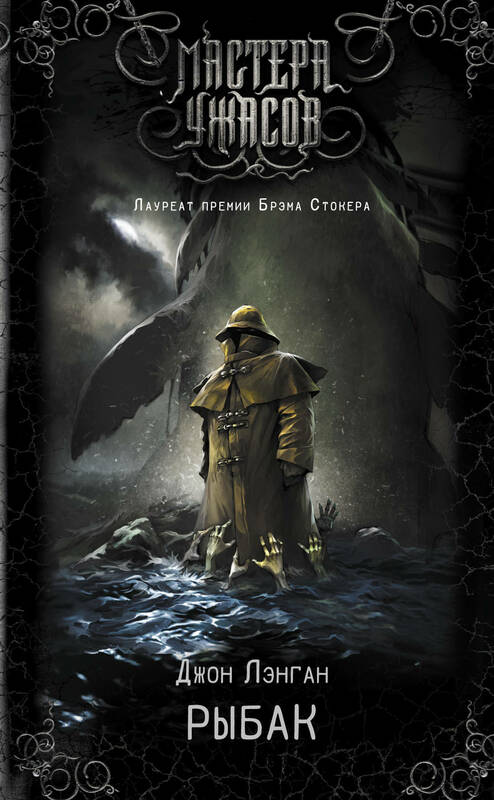 In related news, I’ve done an interview with the Russian webzine, Darker, in which we talk about The Fisherman and my love for Russian literature. Finally, I had a brilliant time this past weekend at the 56th annual Boskone, held at the Westin hotel in Boston. It’s always a pleasure to see such friends as Paul Tremblay, Jack Haringa, JoAnn Cox, Brett and Jeanne Cox, Nick Kaufmann and Alexa Antopol, Vicki Dalpe, Grady Hendrix, Liz Hand and John Clute, Bracken MacLeod, Errick Nunnally, Chris Golden, and Ellen Datlow, but beyond that, the con organizers have really made an effort to expand their horror-related programming, and to include horror writers on more general-topic panels. In addition, they’re made a commitment to diversifying their participants that continues to yield results. It’s made Boskone one of the can’t-miss conventions for me. Thanks to all who worked so hard at putting it on this year, and to anyone who might be thinking about the convention for 2020, I’d encourage you to give it a try. The Black Aether is a Hungarian site devoted to Lovecraftian fiction. The other month, they asked me if I’d be willing to do an interview with them. I said yes, and this is what resulted. In the last couple of weeks, I’ve done a couple of interviews. The first was for the Halloweekly podcast; the second for the Unreliable Narrators podcast. Both were a great deal of fun. If you have a little bit of time, here they are. The Fisherman just won the Bram Stoker Award! The very first writing award I wanted to win was the Bram Stoker Award. I’m more thrilled than I can say to receive one for The Fisherman. As some of you know, it took a long time for this book to be completed, and then to find a publisher. Its reception since then, however, has been nothing short of amazing. I’m grateful to everyone who took a chance on the novel, who left an Amazon or Goodreads review, who recommended it to a friend or family member. I’m grateful, too, to those of you who saw fit to honor the book with this award. No one who looks at the novels listed in this category can fail to be impressed by their combined achievement. To have been numbered among them has been about the highest praise The Fisherman has received. If you haven’t read any of them, yet, then please accept my recommendation that you do so, post haste. Together, they display the particular brilliance that shines from the darker corners of the literary tent. There’s no way my book would have come to pass without the love and support of my astonishing wife, Fiona. My younger son, David, already an accomplished fisherman at a young age, provided invaluable technical assistance. My older son, Nick, my daughter-in-law, Mary, and my grandkids provided support and silliness. Laird Barron and Paul Tremblay talked through various narrative possibilities and complications with me, and cheered me on to the finish line. My agent, the indefatigable Ginger Clark, never stopped asking when I was going to get back to that book whose opening chapters I’d showed her all those years ago. And Ross Lockhart and Word Horde accepted The Fisherman with enthusiasm and promoted it with gusto. My deepest, sincerest love and thanks to all of them. Over at The New York Times, Terrence Rafferty has given The Fisherman a terrific review. You can’t do much better than having your novel called “superb.” I’m humbled and more grateful than I can say.